Security - if the employer feels that their employee is putting others at risk, a current and updated background check may be necessary to determine if there is criminal activity outside the workplace. Job performance - if the employee's job performance is suffering, an employer may wish to gather more information about current personal activities. Damage to the business - if the business could suffer due to suspected ongoing criminal activity, an employer may wish to inquire about crimes committed by the employee. Insurance underwriting - In order for employers to maintain their policy, many carriers will require annual Driver License (MVR) checks on employees operating company vehicles (or driving on company time). 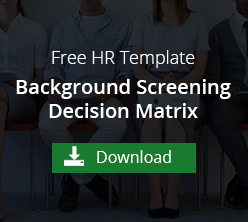 Is screening current employees a good idea? the findings may be beyond a 7 year reporting limitation and unable to be used for termination evidence. Just as a job candidate is required to sign a consent to a background check, so are current employees. An employer may feel that asking current employees could damage the employer-employee relationship. A current employee may feel that if his or her personal life isn't affecting their job, they shouldn't be subjected to a background check. Technically, if an employee signed a consent to a background check upon hiring with the organization, the language is such that the consent is indefinite. An employee may revoke the consent, however, and in some states, consent is required every time there is a background check. In many cases, an employee was never screened initially and needs to sign a consent form to be screened now. 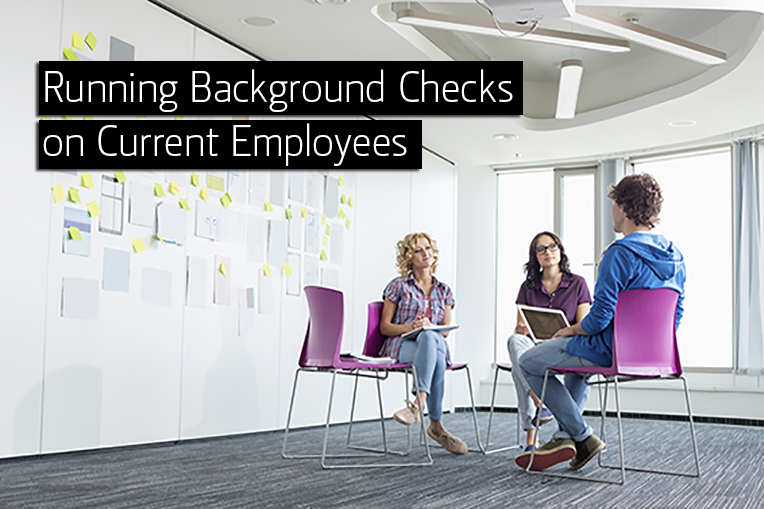 If an organization is going to run ongoing background checks on its employees, a best practice is to make this known from the initial hire date of the employee. Set a policy where every employee will be subjected to a new background screening every 5 years or so. In this way, the employee understands that this is a common practice at the organization. It is best to make the consent to screen a positive experience for the employee. As an employer, it may help to explain that current background checks ensure the safety and security of every employee. You can find sample consent and release forms here: Employee Consent to a Background Check. As a hiring policy explicitly lists reasons for adverse action or denial of employment, a termination policy should also be established and available. If information is revealed that could lead to termination, just as with the hiring process, the employee should be given the information and allowed time to dispute the findings before any adverse action is taken. Some databases could reveal false positives or false negatives so there is always the possibility that the employee's background check is not trustworthy information. At a minimum, any decision must be based upon some relevancy to the business. Take into consideration the nature and gravity of the offense, the nature of the job and how long ago it occurred. Examples of workplace violence may be reason alone to conduct periodic criminal background checks on current employees. If the employee puts others or the business at risk or could potentially cause harm if not fully engaged in their job - such as the case with healthcare, transportation, finances, or law enforcement - periodic background checks may be a good policy for an organization.